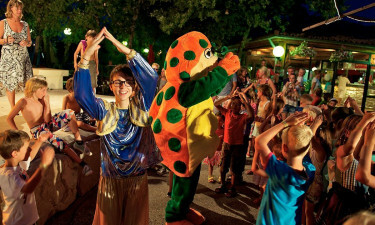 Welcome to Le Ranc Davaine Campsite, a campsite which enjoys a lovely riverside location in the heart of the Ardeche. Contact the LUX-camp team to find out more about our wonderful campsite which has something for everyone! 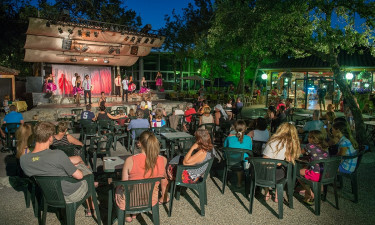 Why should I choose Le Ranc Davaine Campsite? 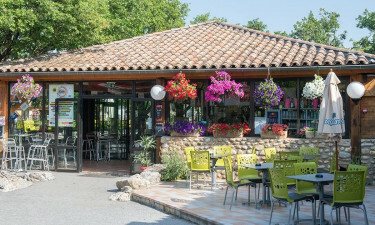 At Le Ranc Davaine Campsite, everything is kept clean and maintained to a high standard, and there is a relaxed and friendly atmosphere on site. The pitches are well laid out, adding to the spacious feel of the park and you can choose from a range of fixed luxury camping accommodation, including fantastic mobile homes. All the pitches are shaded by trees. There is WiFi access, which is an added bonus. From the campsite, you are only thirty minutes drive from the Pont D'Arch beauty spot, where you can hire a canoe for approximately 15 Euros/hour and canoe under the arch. The Pradon river beach is also a short drive and a good place for a great day out. Horse riding is a popular activity and is another interesting way of exploring the beautiful countryside. The swimming pool complex has been enlarged two years ago and is very popular, with plenty of sunloungers. It is so spacious that it never feels crowded, even at the height of the season. 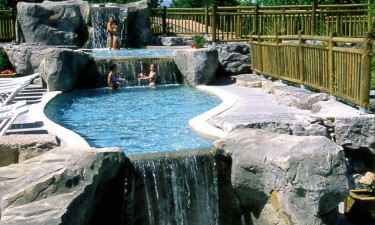 There is a large splash park that little children will love, water slides and an indoor heated pool. Le Ranc Davaine also has a free tennis court, ball park areas, lots of ping pong tables, badminton, a volleyball court, an outdoor gym and a health and beauty spa if you feel like spoiling yourself. We have a small grocery shop on site, which is handy for a few essentials and fresh bread. There are larger supermarkets and lots of other shops in the surrounding towns and villages. Look out for a local travelling market, which visits all the local villages on various days; a great opportunity to pick up local delicacies and souvenirs. We have a pizza takeaway on site and a restaurant, which offers high-quality food at very reasonable prices. There are also many local restaurants in the area which are well worth exploring for a taste of the delicious authentic Ardeche cuisine. The campsite has introduced a cashless bracelet system. On arrival you will receive a bracelet which you can use to put money on. With this bracelet (or by credit card) you can do all payments on the campsite. There is also a kids' club and evening entertainments in the bar area. Many visiting families especially love the river that flows alongside the campsite. It's a hidden gem as it has lovely clean, clear water and is great for paddling, swimming, fishing and playing around in dinghies. Another activity is the zip wire that goes over one section of the river.